What is it you ask? 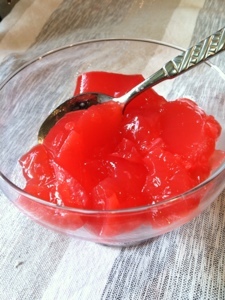 Sugar free jello with whey protein powder. I chose strawberry and banana flavor but feel free to experiment with different ones. 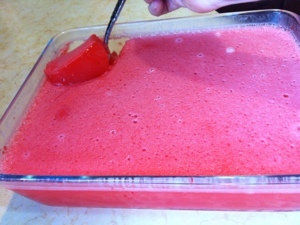 All you have to do is follow directions on the jello box and at the end add your protein powder. Here I mixed 2 scoops of protein powder with 1 packet of jello but that may be too much and left it tasting a bit too concentrated. 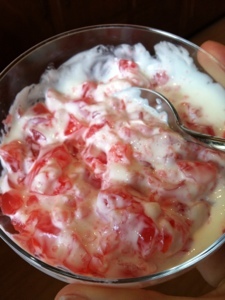 Start off by mixing 1 packet of jello with 1 scoop of protein.